that provide better proactive management of mobile devices within your domain. Approve select mobile devices at the time of device enrollment. Block access to corporate data if user installs a specific app. Block access to/Account wipe the device if user has more than five failed screen unlock attempts. 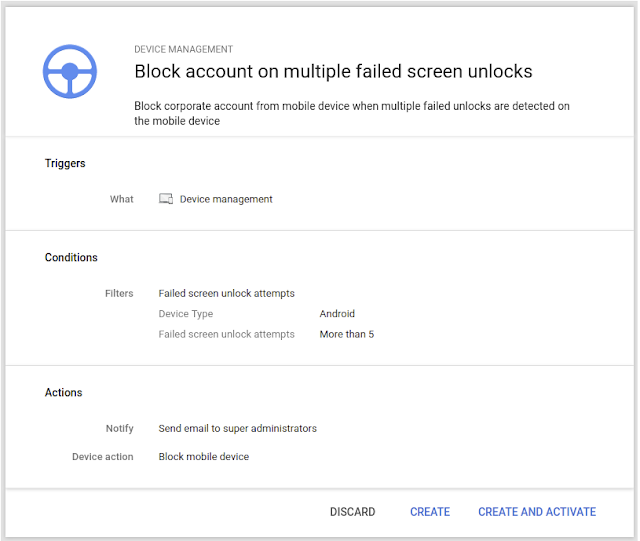 Block access to/Account wipe the device if there is suspicious activity found on the device. 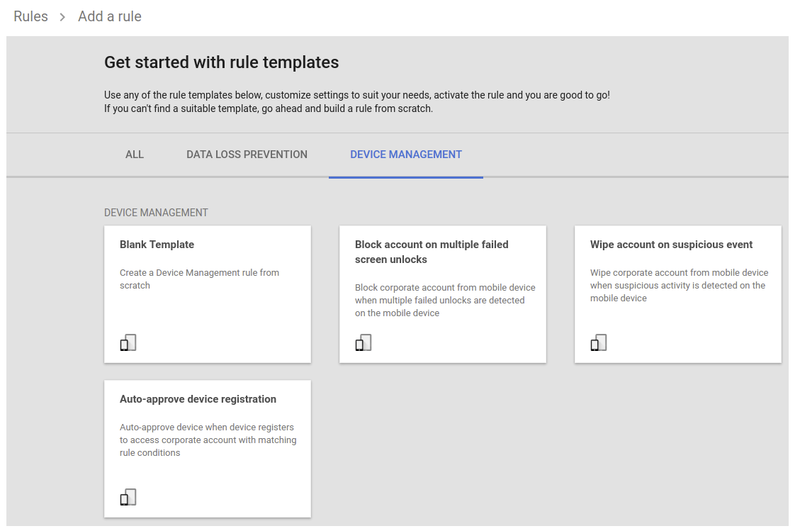 If you’re looking for a device rule that isn’t covered in an existing template, you can customize your own rule. 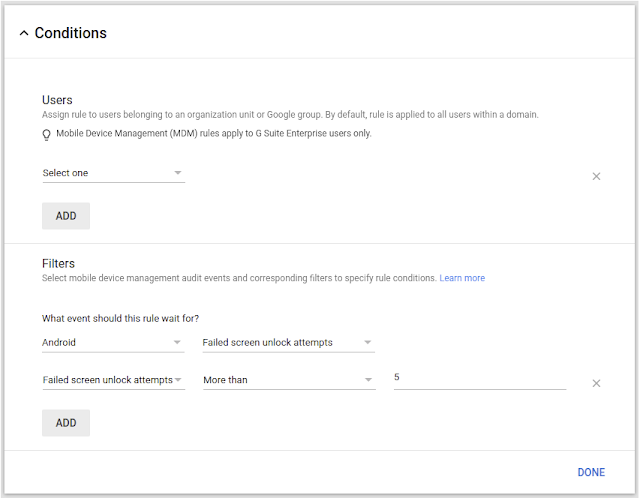 Previously, you would have needed to create a custom script and leverage our APIs to automate any mobile device actions. Our goal with this launch is to automate the manual, repetitive tasks you often execute as mobile administrators while also keeping your organization’s data protected. Get started today with the instructions in this Help Center article. Protecting your organization’s data should be easy, regardless of what device your employees use. This is especially true if many of them use mobile devices at work. Today, we’re introducing new device rules for Mobile Management that provide better proactive management of mobile devices within your domain.